Victorian Style single door Bookcase. 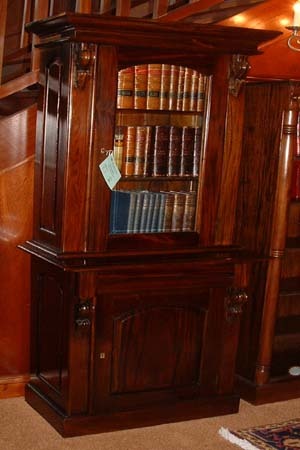 Hand carvied from solid mahogany With a glass door with 2 shelfs inside, over a solid panel door with one shelf in side. Also avaliable in 2 and 3 door. Ideal match to any of the Antique style desks.